Full ticket price £500 Limited time: FREE ACCESS!! 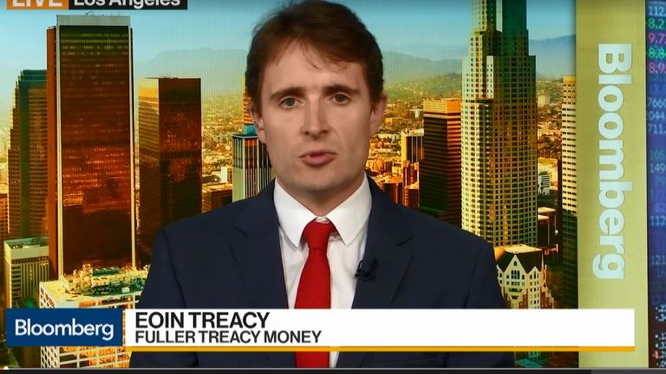 An urgent online gold investing summit with $600m private wealth manager Eoin Treacy – and SIX of the world’s top gold experts. Broadcast online – watch from the comfort of your own home. FIVE powerful indicators suggest 2019 could see the start of an historic gold price boom. Move now to take advantage. £500 – FREE for you to view – if you act now! Could gold really hit $10,000? (And how much could you make if it does)? Is now really the best time to buy in? Should you invest in bullion, coins or gold stocks? Why are the richest nations in the world secretly stockpiling gold? Could gold become a new global reserve currency? Is there really a Chinese and Russian plot to replace the US dollar with gold? What ONE gold investment should you make right now? And for a very limited time, you can side-step the £500 ticket price… and collect a FREE online viewing pass! The moment you register for free access, we will UNLOCK an exclusive series of gold research reports and videos – worth £200! 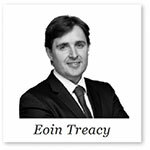 My name is Eoin Treacy. I’ve invested in gold and gold stocks for nearly two decades. That means I’ve seen mania before. The boom from 2000 to 2011 was blistering. Gold shot up in price from $283 an ounce, to over $1,700. Because even that rampant run could look like NOTHING in comparison to what’s around the corner. That is why I have urgently called The 2019 Gold Summit – and made it easily – and freely – available online for you to watch. Over five days, we will dive into what makes the gold market tick… and why this year could see the biggest gold-price shock in history. We are preparing five special summit episodes for you to watch, featuring our world renowned experts. Every morning – starting from 9am on April 24th February – you’ll gain access to a new episode. You will have a whole 24 hours to watch each one. At no cost whatsoever. No travelling to a strange location. No queuing for seats. I’ve arranged this summit so you can give your undivided attention from the comfort of your own home. But only if you move ahead of it. But there is a flipside. A dark side. The forces set to push gold to historical highs should be of great concern to every saver, investor and home owner in Britain. All the crucial indicators I trust tell me that a new global financial crisis is imminent. An inevitable, looming global “debt reckoning”. The fuse has been lit, and it’s going to be a short one. No-one can say WHEN one of these flashpoints ignites the next catastrophe. But I think it is utter madness not to prepare for a blow-up – and prepare SOON. If you have your wits about you, I think you already sense the financial system is on borrowed time. 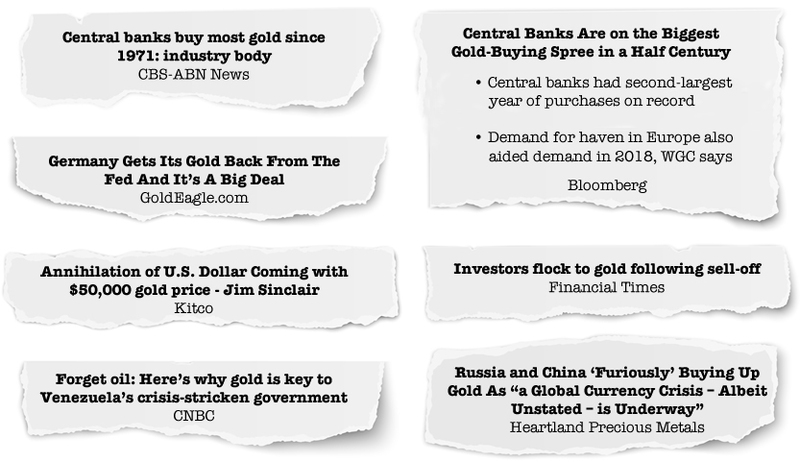 History tells us that when global crises on this scale ignite, gold demand can skyrocket… and with it, the price. For 6,000 years people have turned to gold to preserve their wealth. And in times of financial peril – it can mean more than wealth. It can mean survival. And, in particular, certain gold stocks I’d like to tell you about in our urgent summit. Those are the stakes: It’s make or break time. Get on the right-side of what’s happening and you could make serious money as investors flock to gold for safety. Get trapped on the wrong side and you may see your wealth diminished, and regret your inaction. I want to help you separate yourself from that fate. To cut through the noise… reveal to you the truth behind the headlines… and show you how to take advantage of what is happening, not become a victim of it. You will be “in the room” with investors on the frontline of the market who control billions in capital, with hundreds of thousands of avid followers, clients and readers worldwide. All at no cost. You do not pay a penny. That’s why they have been in demand on Bloomberg TV, Reuters, CNBC, CNN, Forbes, BBC World Service, Kitco and Financial Sense. And the ONLY way to see what they have to say about the future of gold is to reserve your free viewing pass TODAY. “This could be the most important conference about gold you ever attend. I've been going to meetings about gold for twenty years (some tiny, some very large). But none with the calibre of presenters Southbank has lined up for this Gold Summit. I have pulled out all the stops to bring together investors and experts who are going to give you deep insight into the gold market. Not the old news you see in the papers. Not the rumours you read online. But real market intelligence. All told, you’ll be getting more than 125 years’ worth of combined gold investing wisdom and acumen. They are flying in for one clear purpose: to help you understand why now is such a make-or-break time for anyone with money in gold, stocks, property or plain old savings in the bank. There’s a reason it cost $2,699 to hear Grant Williams’ keynote speech at the 2018 Stansberry Alliance Conference: he is one of the most respected authorities on gold in the world. Grant is also a publisher of Things That Make You Go Hmmm, one of the most popular and widely read financial publications in the world. This is a rare chance for you to hear insight from a real gold insider – for free. A number #1 ranked investment strategist by Institutional Investor magazine, John Butler’s resume is truly impressive. Over 20 years’ experience in international finance, he has worked for Deutsche Bank and Lehman Brothers. Not only is John on record having anticipated the great gold bull market of the 2000s, but also the US housing market crash of 2007-09 and the protracted euro debt crisis. John’s publications include The Golden Revolution, which has been regularly cited in The Wall Street Journal and Financial Times. Simon Mihailovich emigrated from the Soviet Union with just $100 in his suitcase. After putting himself through university with a M.S. in Business from the University of Baltimore and a B.S. 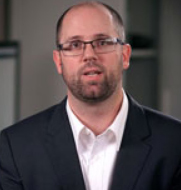 from John Hopkins University, he co-founded Eidesis Capital in 1998, which was responsible for over $2.5B of capital. Simon performed the miracle of saving his clients’ money from the collapse of Lehman Brothers. He now manages Tocqueville Bullion Reserve. Luke Gromen’s career began on Wall Street in the mid-1990s. He went on to co-found the Cleveland Research Company, moving on in 2014 to found “The Forest For The Trees”, a macro/thematic research firm. Luke’s contrarian views won’t be seen in the mainstream media. And that’s what make them so valuable. He is widely respected as a go-to voice on gold. Alasdair Macleod has been a master of the markets for over four decades. It took him only nine years to become a senior partner of his first firm. Since then his experience encompasses equity and bond markets, fund management, corporate finance and investment strategy. It comes as no surprise that CNBC has featured him for his expertise on gold. 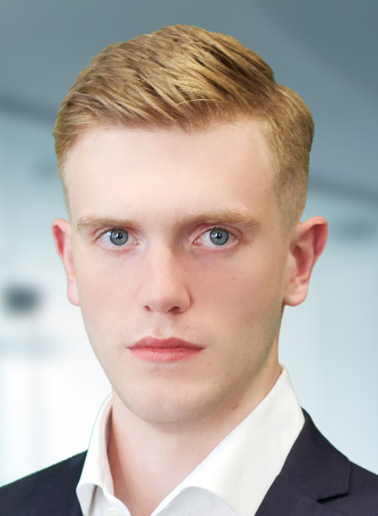 Alasdair is also Head of Research for GoldMoney. Ronald-Peter Stoeferle shot into the headlines when he forecast the price of gold rising from USD 2,300/ounce – at a time when the price was only USD 500. His widely celebrated report titled “In GOLD we TRUST” drew international coverage on CNBC, Bloomberg, The Wall Street Journal and Financial Times. I asked Boaz to host the event as he is a noted expert on gold in his own right and producer of a well-received podcast on the precious yellow metal. Boaz is the managing editor of the newsletter Zero Hour Alert and writes daily for the popular “big-picture” e-letter Capital & Conflict. Winning an award for my asset protection fund has been the highlight of my career so far. I am currently entrusted with $600m in family wealth. I consult at some of the biggest corporations in the world. 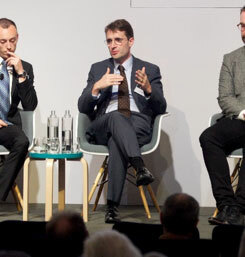 And my private seminars – attended by the managers of some of the biggest funds going – cost £2k a day. But at heart I am a trader and I called The 2019 Gold Summit to show you why gold could be the trade of the decade. … and the powerful forces that look set to send investors rushing into gold. In the future the price will be £500. Who is this summit really for? If you already have some money in gold – coins, bullion, futures or stocks – I believe you’d be foolish not to hear what’s going on behind the scenes. Even if you disagree with some of the controversial opinions and evidence… you will be better informed than ever before. And if you’ve never invested in gold but want to know how the market works… and what could soon send it soaring… you will never have a higher quality array of speakers to learn from. The only way to watch the summit (for free) is to get your name down below. Reserve your free viewing pass now and you will also secure exclusive I’ve produced to get you ready for the summit – at no cost. First, I need to clue you in on gold's important role in the financial system. Then we get practical -- I'll run you through how to buy gold, which gold assets you can purchase (and why), where you can buy them, and how to store them. FREE primer report #2: Is gold cheap now? There’s more than one way to make money from a gold price surge… and in this exclusive report, I’ll show you the smartest way I know of maximising a gold boom. 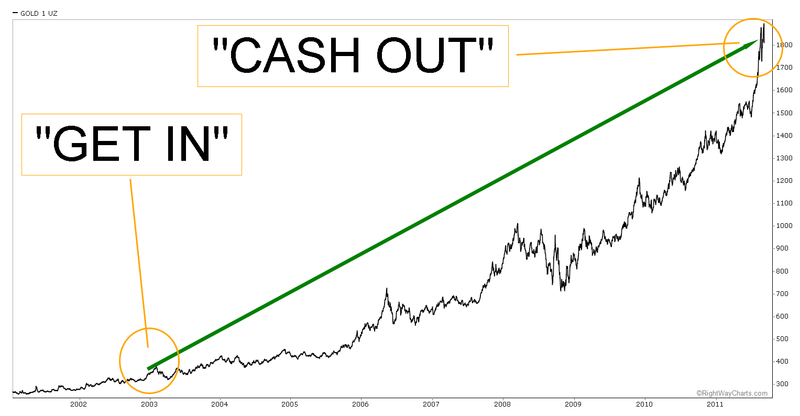 As a tech investor and trader, entrusted with $600m in capital, let me show you how I “read” the gold market right now – and why all the indicators I trust are telling me one thing: get in now. So I am waiving the cost entirely. Save your seat in the box above and it’s all yours, for free. Well, as a private wealth manager entrusted with $600m – it’s my job to think strategically about growing it. And it is a duty I take very seriously. I am obsessed with the markets. I live and breathe investing. I spend 16 hours a day analysing data, looking for big-profit opportunities for my clients and subscribers. I’ve worked with and advised many multi-billion dollar firms, like Shell, Nestle, Rio Tinto, Chandler Brothers, the Abu Dhabi Investment Authority and Brevan Howard. My meticulous, know-everything approach has landed me some big winners over the years, like picking up Tesla for just $10…. … and scalping a 2,424 point profit trading copper in just 31 days. I’ve made a lot of money for my clients and for the 14,000 UK investors that subscribe to my research services. That’s why the sovereign funds, billion-dollar companies and other professionals I advise pay tens of thousands of pounds for my time. I join the dots between what’s happening in the world… and how you could make a fortune from it. I think everyone needs to know about it – and fast. That’s why I am holding the 2019 Gold Summit on Wednesday 24th April. 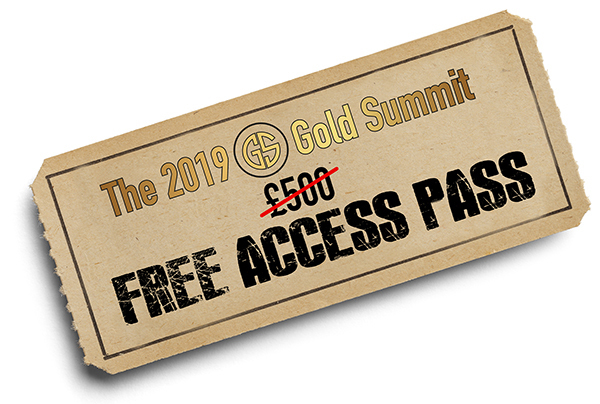 I am allowing you to bypass the £500 cost to watch the summit online… and grab a spot for free. No brainer: you can reserve a viewing pass – which will later go on sale for £500 – at no cost whatsoever. But ONLY if you reserve it now. Get your name down NOW for The 2019 Gold Summit! By signing up to The Gold Summit you agree to receive emails up until the summit. The Gold Summit is being produced by Southbank Investment Research Limited.